Receive a special NEW customer discount coupon!! 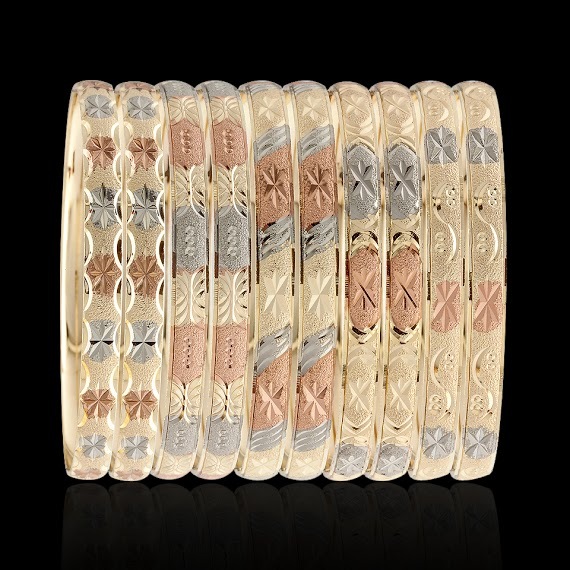 Description Three Tone Shimmer Bangles 6MM Wide. Diamond-cut shimmer design gives the extra sparkly glitter look! Our latest addition in 2013. Styles Several different styles available to match bangle bracelet styles. See the Related Products section at the bottom for other designs/styles. Order the same style shown on this page (or) let us know if you want us to mix and match all styles available. Weight Ranges from about 10 g to 18 g per bangle, depending on the size. Like us on Facebook today and stay up to date on our latest products, promotions, discount coupons and save even more money! 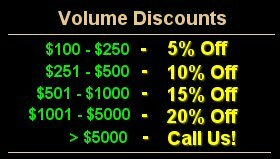 Join now to find out more details on how you can get an ADDITIONAL 5% Off coupon code today!! Not sure which bangle size is right for you? Click here for instructions on how to select the correct bangle size. No part of this website, including the website design, logo, content and product images can be copied, reproduced or distributed without our prior written consent. All Rights Reserved.